The efficacy of infrahepatic inferior vena cava (IVC) semi-clamping for reducing blood loss during hepatic resection and its safety remain unclear. The aim of this study was to validate the effectiveness of IVC semi-clamping for reducing blood loss during hepatic resection and to confirm its safety. Patients who underwent anatomical hepatic resection between January 2011 and May 2018 were analysed by propensity score-matched and multivariate analyses. Of 437 patients who underwent anatomical hepatic resection, IVC semi-clamping was performed in 196 patients (44.9%; clamping group). 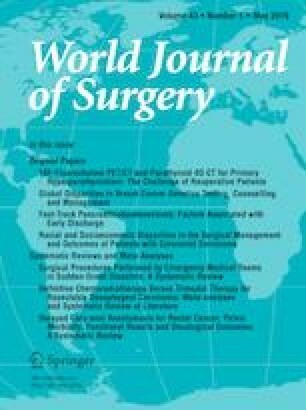 A propensity score-matched analysis demonstrated that even though there was no significant difference in the characteristics of the 141 patients in each group, IVC semi-clamping reduced the blood loss during hepatic resection (clamping group versus non-clamping group: 836 ± 123 vs. 1198 ± 124 ml, P = 0.04). Regarding post-operative complications, the multivariate analysis identified IVC semi-clamping as an independent risk factor for acute kidney injury on post-operative day 1 (P = 0.01, odds ratio = 9.23). A significant positive correlation was found between the duration of IVC semi-clamping and an increased level of serum creatinine (sCre) (P = 0.03), and a significant inverse correlation was found between the blood pressure after clamping and an increased level of sCre (P = 0.02). A receiver operating characteristic analysis revealed the duration and mean blood pressure after clamping that indicated a high risk of acute kidney injury to be 116 min and 65 mmHg, respectively. IVC semi-clamping can reduce blood loss during hepatic resection but still necessitates monitoring in order to avoid acute kidney injury. All authors have no conflicts of interest or financial to disclose. The study was approved by the institutional review board, and each study subject provided their written informed consent.